AUGUSTA, Ga.—On Friday morning, when this Masters was shaping up as a war of attrition between Charley Hoffman and Will McGirt, a colleague floated the idea of writing a column about what a boring tournament this was shaping up as. But as the sun set on Augusta National, this Masters is now alive with intrigue, animated by some of the game's most charismatic leading men. We speak not of Hoffman or McGirt—both of whom are still hanging around, offering likeable underdogs to cheer on—but rather of Sergio Garcia, Rickie Fowler, Fred Couples, Justin Rose, Phil Mickelson, Jordan Spieth, Adam Scott and Rory McIlroy, all of whom are within five strokes of the lead. (As are stars-in-waiting Thomas Pieters, who holds a share of the lead, and Jon Rahm.) And having survived two days of punishing winds, the players can now look forward to a warm, still weekend that promises plenty of pyrotechnics. The cresting excitement of this Masters was embodied by Couples, who made Augusta National shake by nearly jarring his approach on the final hole. He was feeling so frisky that upon meeting with reporters he opened with a round of knuckle-bumps. Couples, an ageless 57 who is in the field by way of his victory at the 1992 Masters, admitted he had been peeping the scores just like the rest of us. "I see some of my buddies up there, and I see some really, really good players that always play well," Couples said after his 70. "I'm glad I'm up there." The best storylines start at the very top, with Garcia and Fowler, who share the lead at four under with Hoffman and Thomas (Belgian Bomber) Pieters. Sergio made the scene nearly two decades ago as a fresh-faced teen known as El Nino, but he is now a battle-scarred 37-year old seeking validation for a star-crossed career. He roared into contention by opening his round with three straight birdies and fought hard from there, shooting a 69. Fowler's play was even more impressive, as he made a lone bogey en route to a 67 that was the low round of the day. Fowler, 28, is beloved everywhere he goes, admired for the panache with which he plays and the class he exudes away from the course. All that is missing is a major championship victory to keep up with his precocious peers. Garcia's quest is more urgent, and has been nearly a decade in the making. In 2008, he won the Players, was runner-up at the PGA Championship and by year's end had climbed to second in the World Ranking. But in early 2009 he got dumped by Greg Norman's daughter, Morgan-Leigh, whom Garcia said was the first woman he had ever loved. He went in to a deep funk, failing to win on the PGA Tour for four years. Early in the slump he confided, "Myself, when I am not feeling happy on a golf course and not up for it, that is the way it is. You can't do anything about it. I can't do well." Drew Brees is a cousin; her father, Marty, was an All-America quarterback at Texas in the 1970s; and grandfather Ray Akins was a legendary Texas high school football coach, winning 293 games in 38 seasons at Gregory-Portland. Does her sports background help buoy the flighty Garcia? "I don't know if I always say the right thing, but I try," she says. "He's in a good place. He's always laughing, always smiling. He's a lighthearted guy." And just as Dustin Johnson has benefited from the invaluable wisdom of his future father-in-law, Wayne Gretzky, Garcia has fallen under the spell of Akins's down-home father, who is serving as an unofficial sports psychologist. Says Garcia, "He's very, very positive. His message to me is always the same: believe in yourself. Keep believing no matter what. He's always pushing me to be the best I can be." 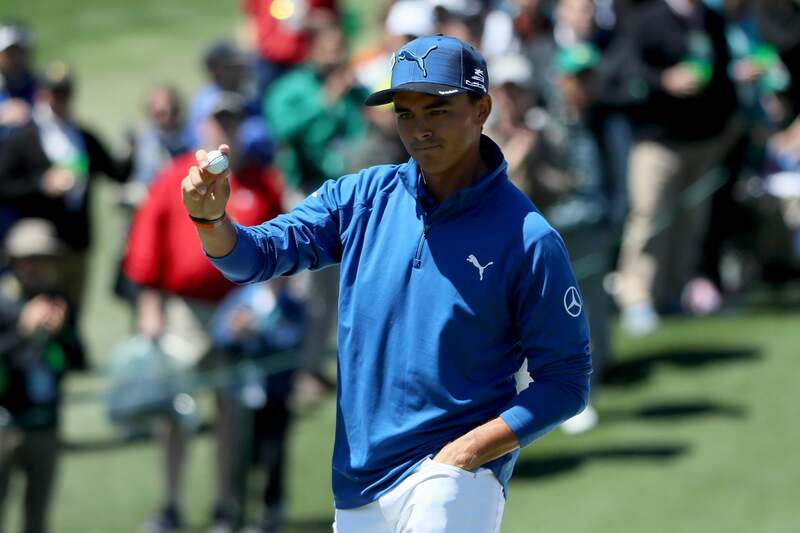 No doubt Garcia would love to recapture the youthful insouciance displayed by Pieters, the Masters rookie who has relentlessly attacked Augusta National, rolling up nine birdies and an eagle across the first two rounds. Pieters, 25, was the breakout star at last year's Ryder Cup, and his affectless on-course demeanor belies a lively personality. His mentor on the European tour has been another long-hitting Belgian, Nicolas Colsaerts, who says of his protégé, "He's into music, clothing, all the stuff Antwerp is known for. It's by far the most cutting-edge city in Belgium, and it reflects in his personality. He listens to music that makes me realize I'm getting a little old." "Oh, you wouldn't know. Like glitch-hop. Probably too complicated for you. Probably too cool for you." Hoffman, 40, has never been one of golf's cool kids, but with six career victories he's had a sneaky-good career. His opening 65 to build a four-stroke lead was one of the most impressive rounds in recent memory, and he went out at 10:01 a.m. on Friday and promptly birdied the 2nd hole to touch eight under. But he quickly reverted to the mean, as shaky wedge play and a frigid putter led to five bogeys in the middle of his round. Hoffman displayed some admirable grit coming in, steadying himself to play the final seven holes in one under par, for a 75. "I got out of position," he said. "I didn't make any real mental errors, I just didn't execute. I'm not going to put too much pressure on myself, but I'd be lying to say it's not a great feeling [to be in contention] and a great spot to be in." Among the pursuers four strokes off the lead is a particularly intriguing trio: Scott, Mickelson and Spieth. Scott, the 2013 Masters champ, made seven birdies during his 69. Mickelson sent roars cascading through the pine trees by birdieing five of the first 13 holes, but he looked old and tired coming home, bogeying 14, 16 and 17 to fade to a 73. Still, it sets up an intriguing pairing with the Spieth, who has rallied furiously since his quadruple bogey 9 on the 15th hole of the first round. After bogeying the 2nd and 4th holes on Friday, it looked like Spieth would fall further out of contention, but the kid with a heart the size of Texas went four under the rest of the way, including a fistpump-inducing birdie at the last. 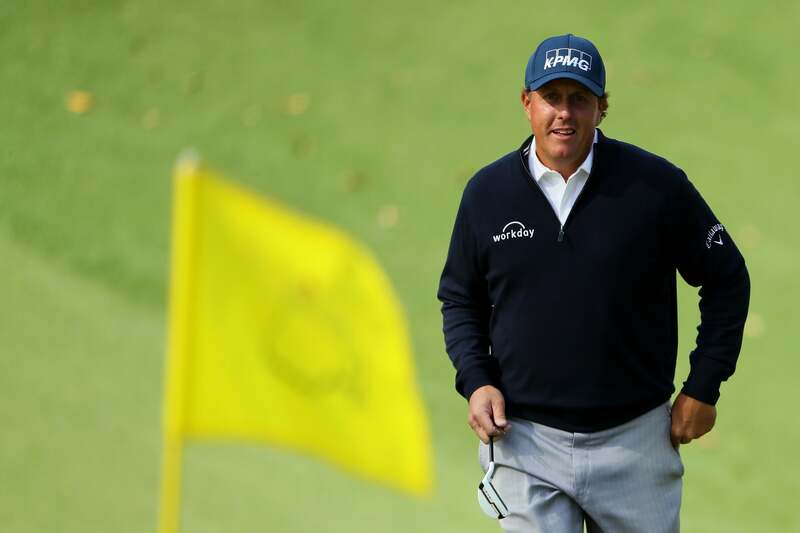 Phil and Jordan going head-to-head on Masters Saturday, with many of the game's best players in the mix? It seems likely that by the end of the round, a certain columnist will be moved to write what a spectacular tournament this has become.